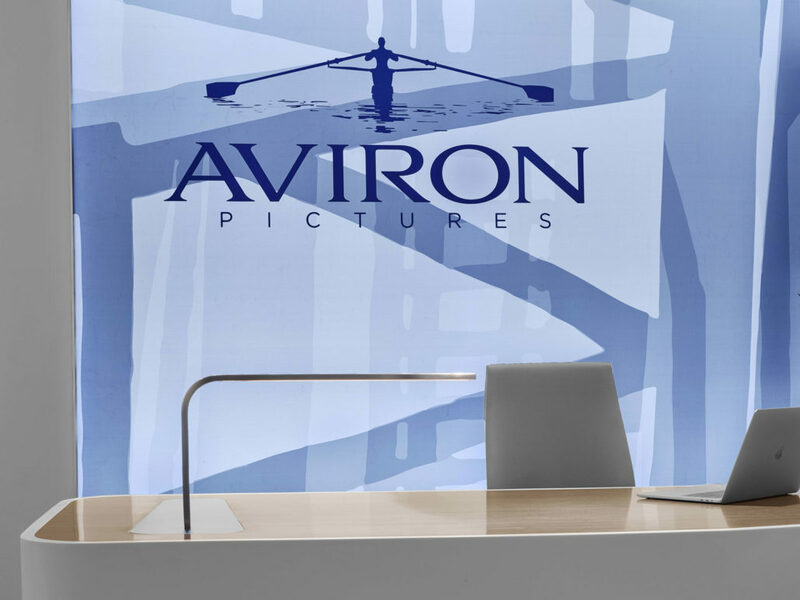 Aviron Pictures specializes in acquisitions, marketing and wide release distribution of talent and story driven theatrical films in North America. 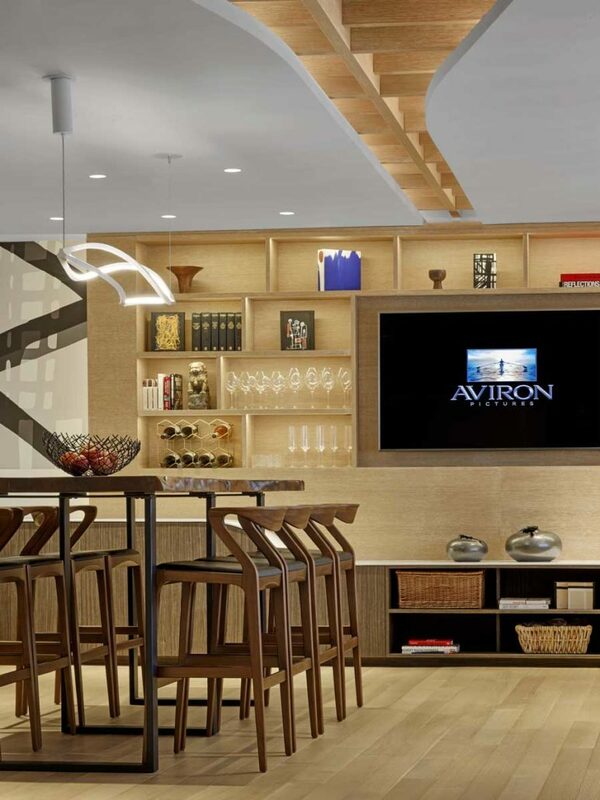 Aviron collaborates with experienced filmmakers to shepherd their motion pictures to the screen and on through domestic home entertainment. 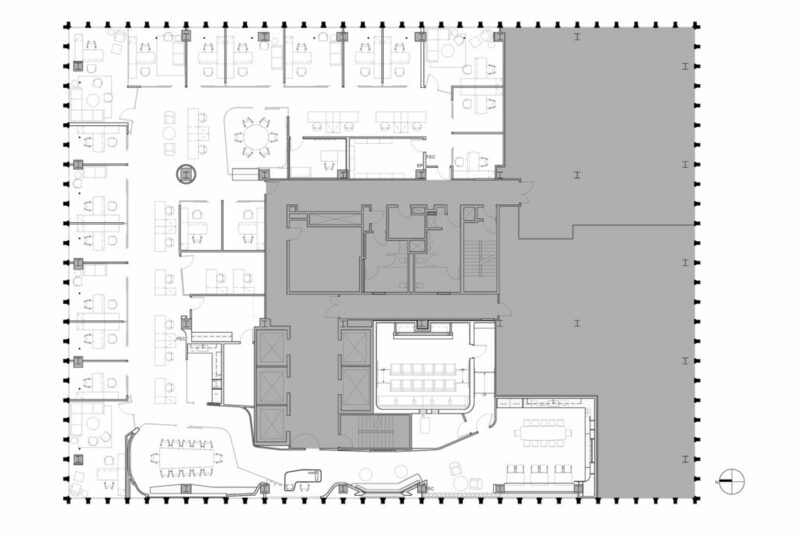 The Design vernacular Felderman Keatinge + Associates created for the space reflects the name “Aviron”, meaning “rowing”. 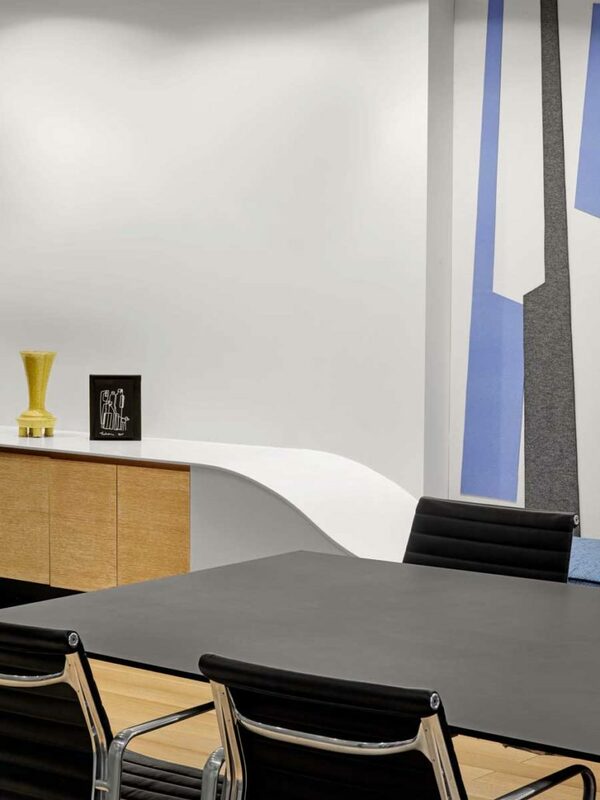 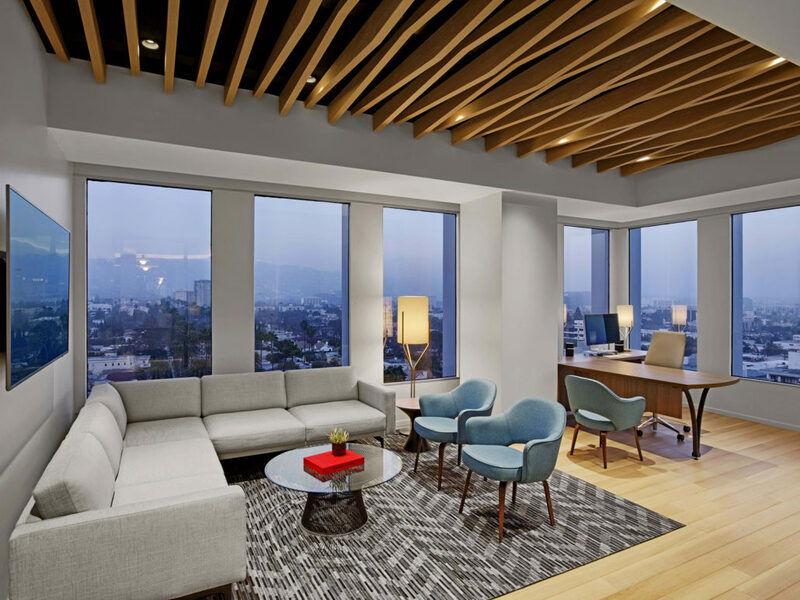 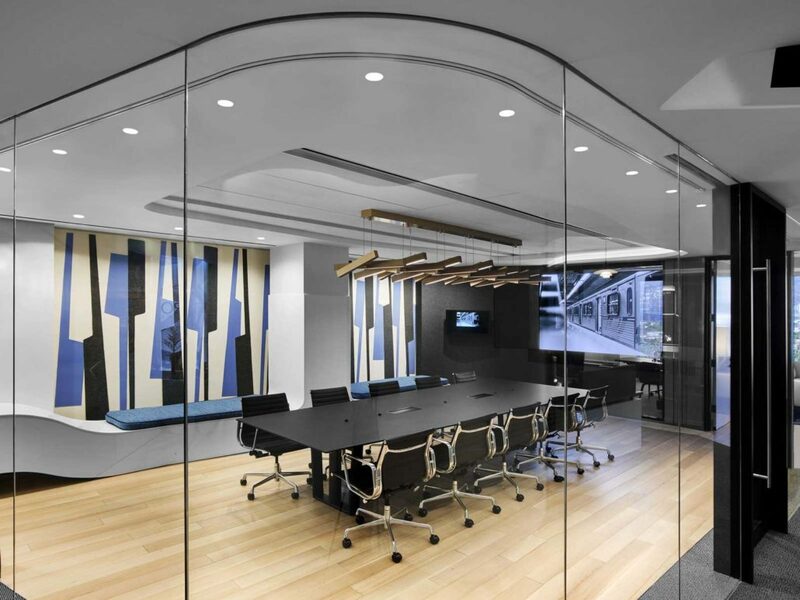 This immersive environment conceived by the design firm incorporates the core values of the company, those of working together as a team and pulling together. 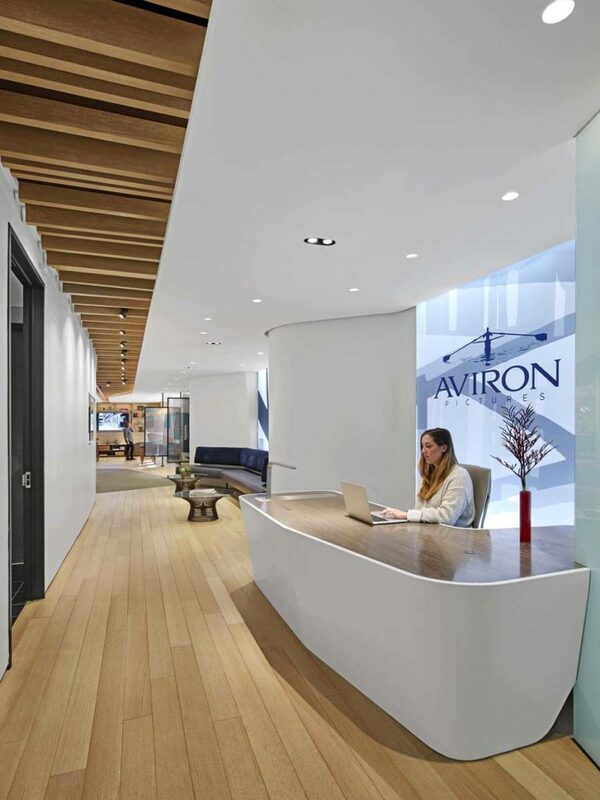 The Aviron name and logo represent the shared alignment of interests with filmmakers, capital investors and business partners, all pulling in the same direction rowing, with speed, skill, discipline, and perseverance. 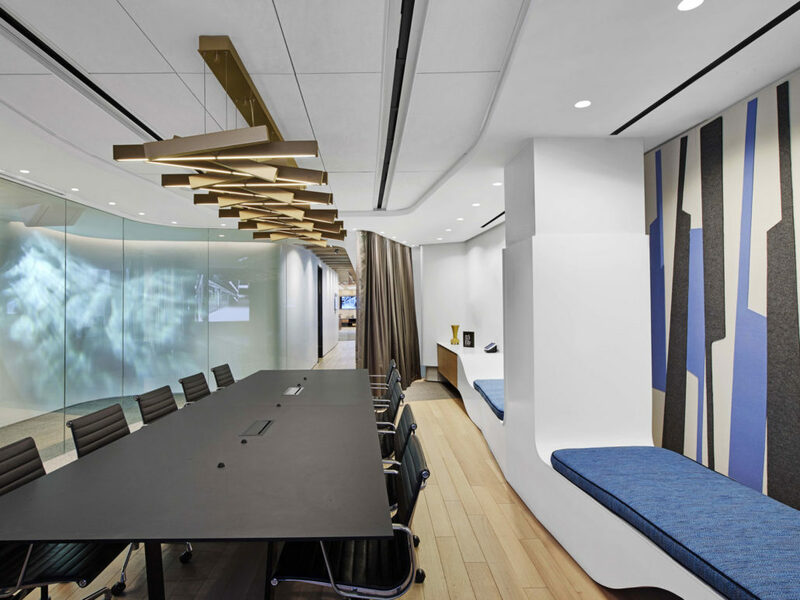 Felderman Keatinge + Associates abstracted the nautical theme of the company’s brand through the custom design of the furniture, lighting and art, an acoustic felt wall installation of abstracted oars, the design of the custom light fixtures and ceiling baffles, including a multi -media immersive installation symbolizing the movement of water. 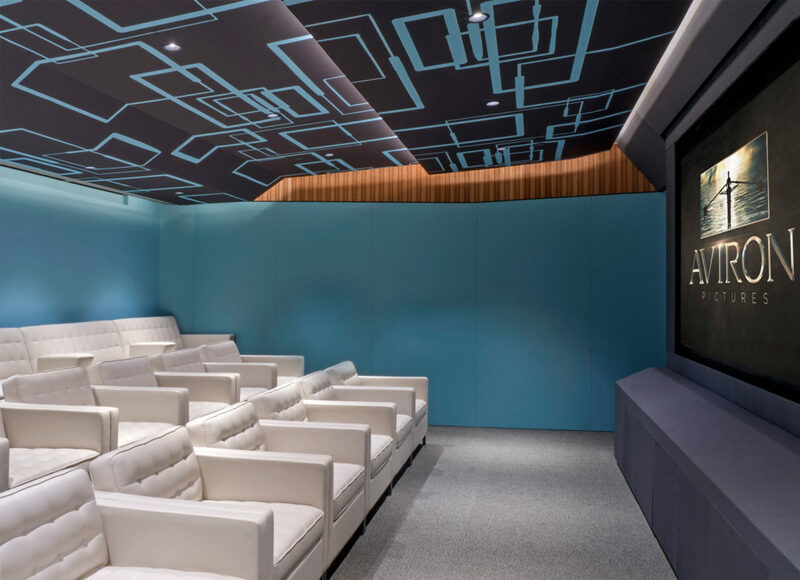 All of the art including that in on the screening room ceiling and custom lighting pieces were designed by Felderman Keatinge which makes this project and the incredible attention to detail in the design truly award worthy. 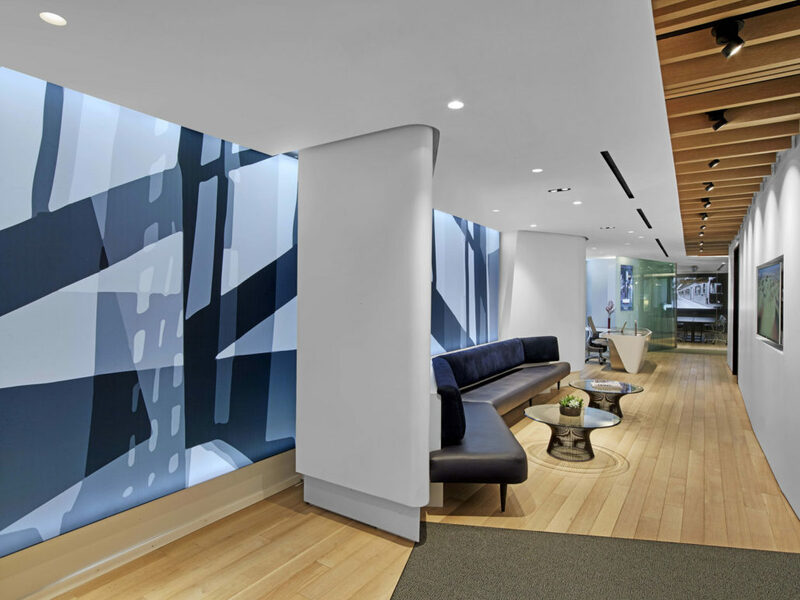 Light was very important to the Client so the Felderman Keatinge custom designed a 60′ long light box allowing for a sense of light and shadow and also serving to cover the mechanical equipment on the roof, while still allowing light into the space.